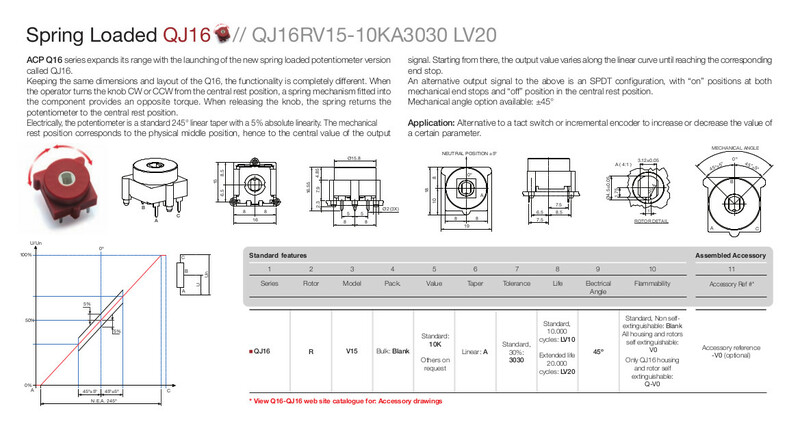 ACP Q16 series expands its range with the launching of the new spring loaded potentiometer version called QJ16. Keeping the same dimensions and layout of the Q16, the functionality is completely different. When the operator turns the knob CW or CCW from the central rest position, a spring mechanism fitted into the component provides an opposite torque. When releasing the knob, the spring returns the potentiometer to the central rest position. 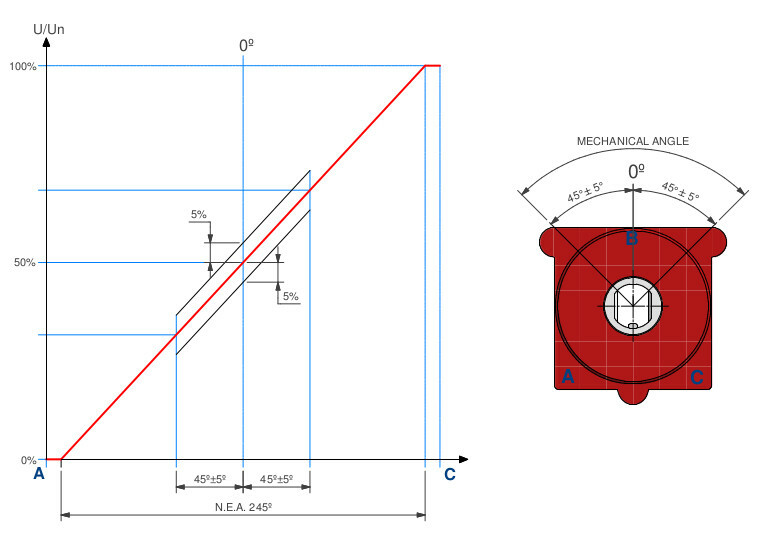 Electrically, the potentiometer is a standard 245° linear taper with a 5% absolute linearity. The mechanical rest position corresponds to the physical middle position, hence to the central value of the output signal. Starting from there, the output value varies along the linear curve until reaching the corresponding end stop. As application, we can highlight it as alternative to a tact switch or incremental encoder to increase or decrease the value of a certain parameter. Visit our booth during Electronica 2018, you can see physical pieces, ready to be tested them!